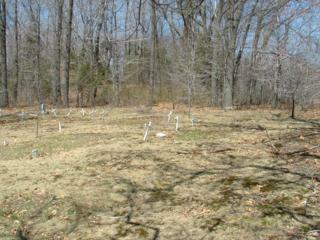 There are atleast 24 graves that are marked with field stones or plain white crosses. 1. Rachel Clark Mauk wife of John Mauk she was born in 1817 and died before 1877 when John remarried. Our source is a letter written by her daughter Charlotte Jane Mauk Shick to a cousin named Barbara. Unfortunately there is no date on the letter. 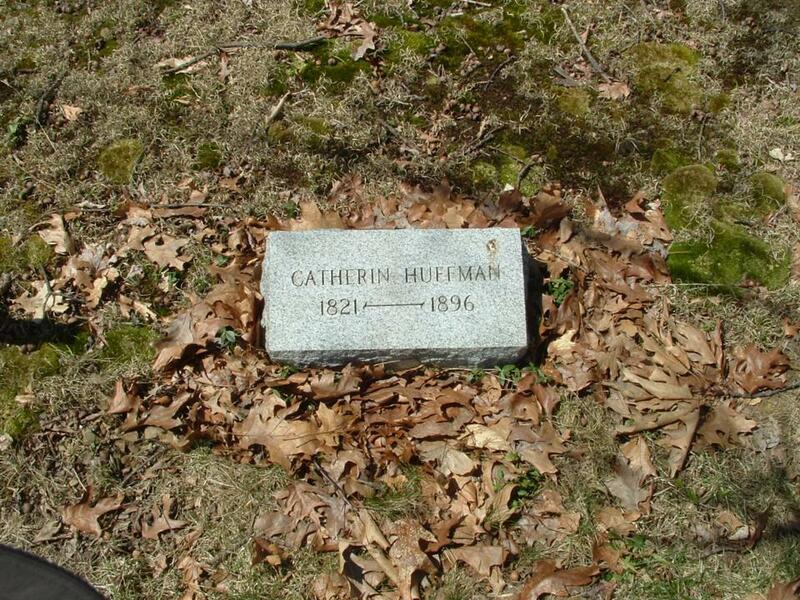 We know she died before October 1876 because Charlotte says "My dear mother passed away and was laid to rest in the cemetery on the farm beside her two sons." Charlotte also says in that letter she is going to marry Jacob Shick. 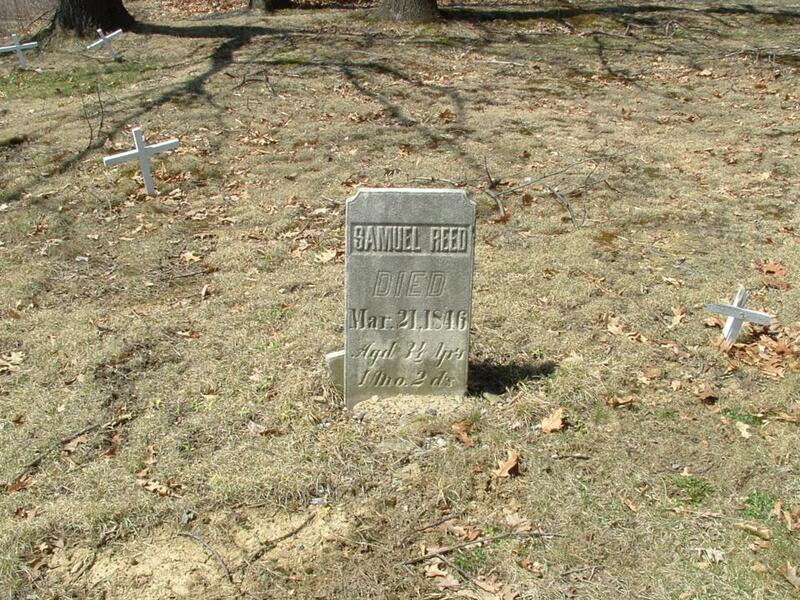 They were married October 18, 1876. 3. 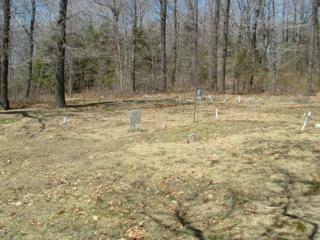 Rebecca Nolf Mauk born March 28, 1824 died January 23, 1917- Her obituary states she is buried in the Mauk Cemetery. 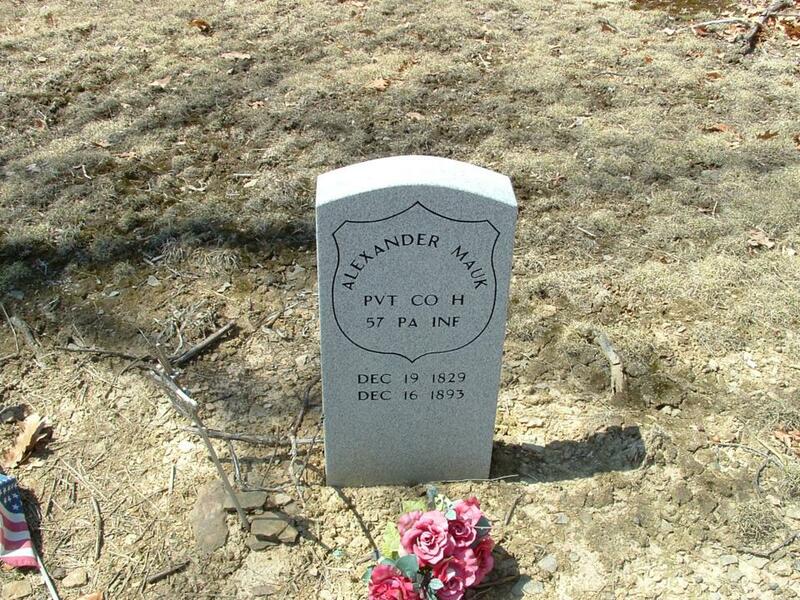 Alexander Mauk's wife.